This center has fully serviced, furnished office space available in an ideal business environment. There is 24/7 access to the center, and a high level of security. Two conference rooms are available for your use with tea and coffee provided. Reception staff, who will greet your guests and manage your calls, are included the rent. Flexible lease options are also available. The center is located close to Philadelphia city center and International Airport. The site is surrounded by many well-known restaurants, stores and hotels. 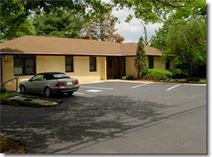 This center offers easy rental office space now available in South Jersey. This is close to both routes 70 and 73 and the Turnpike. Easy access to the Eastern Seaboard. Loads of options and services are available including free boardroom access. High speed internet and friendly reception services available. Refreshments served when needed. Many legal and administrative and secretarial services also offered. Some serviced office space offering a range of amenities is now available. This centre is located close to Route 295 and is nearby to NJ turnpike. Different office sizes are on offer to choose from.